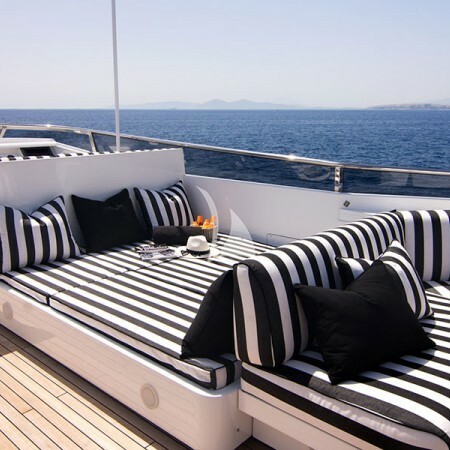 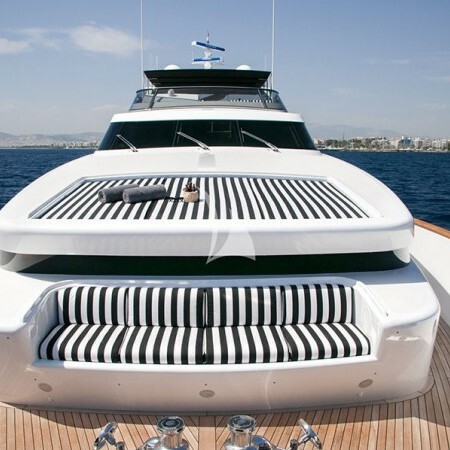 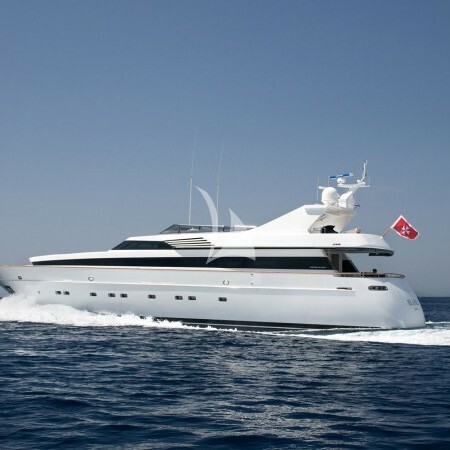 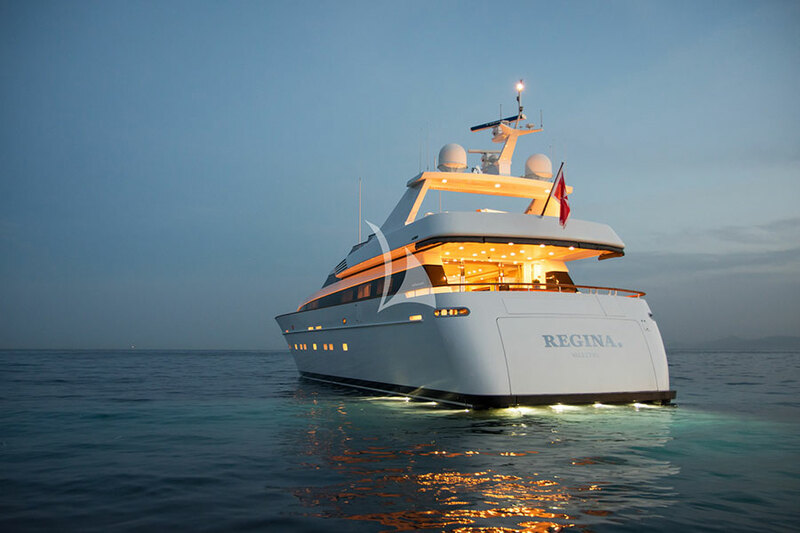 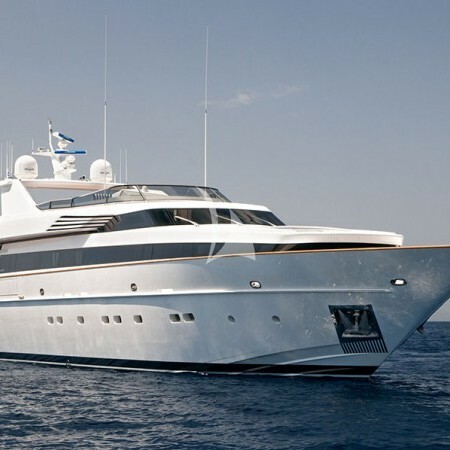 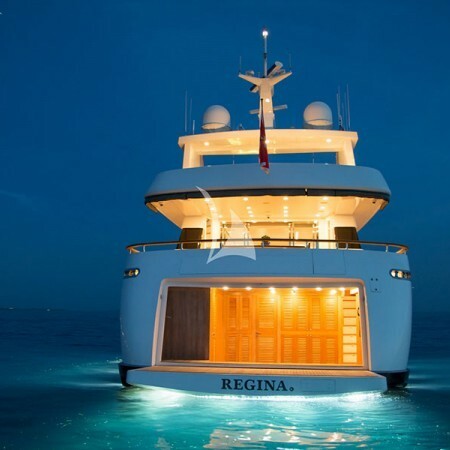 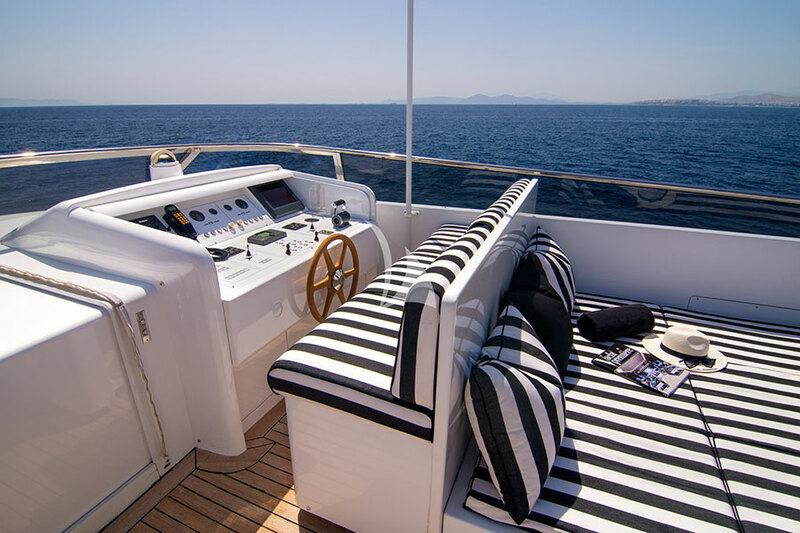 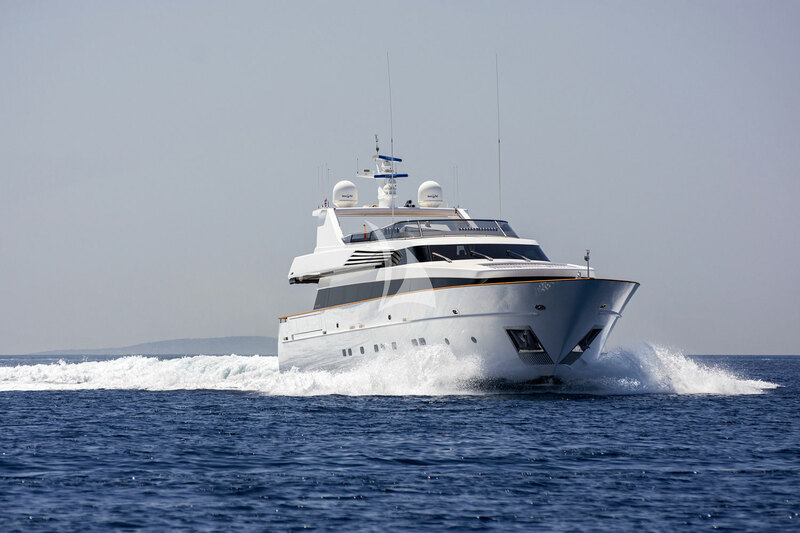 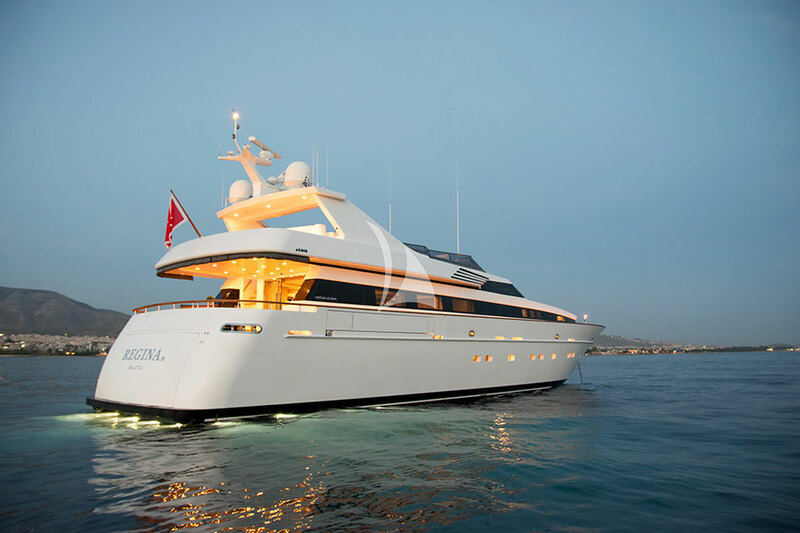 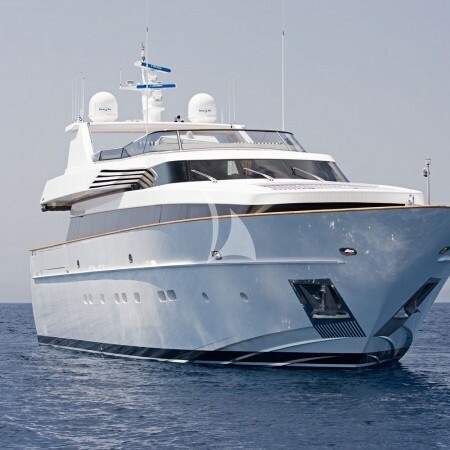 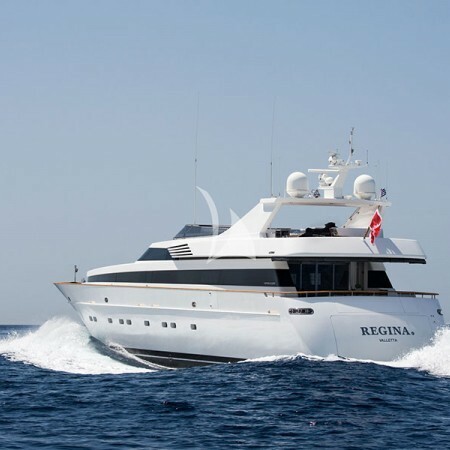 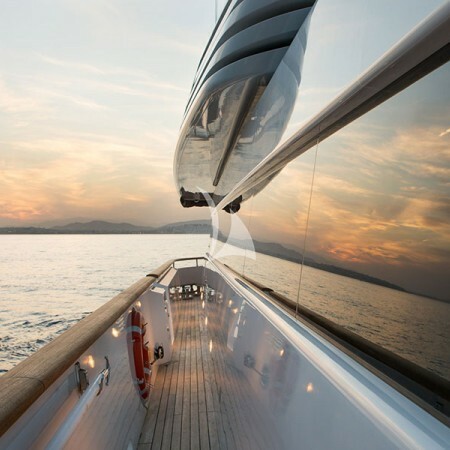 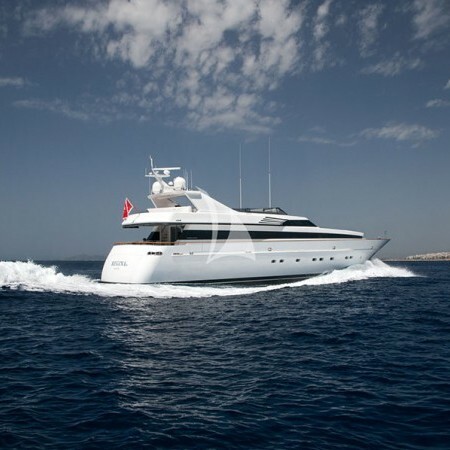 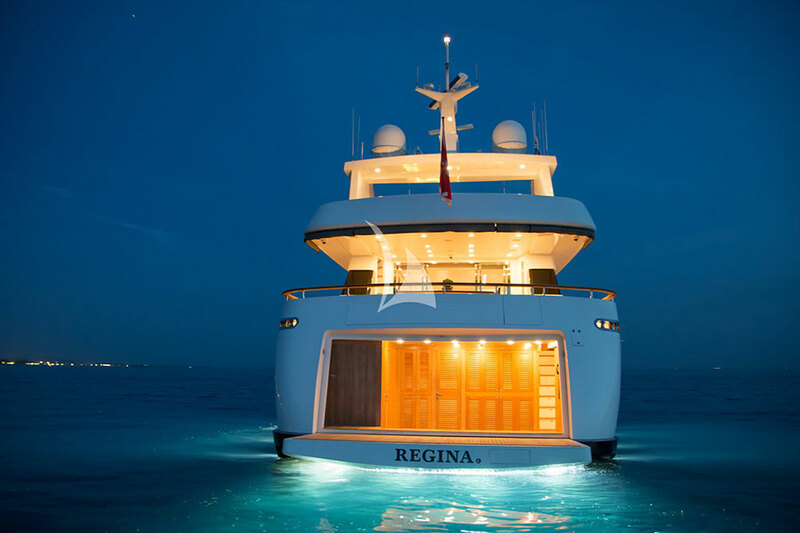 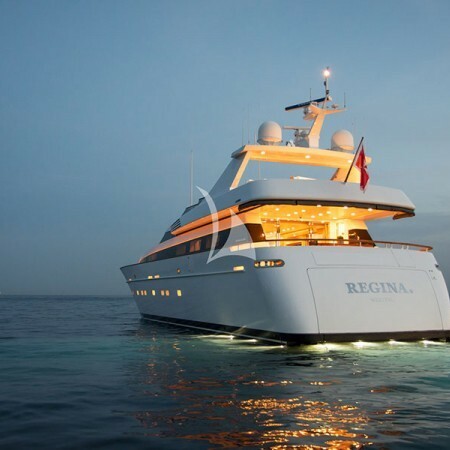 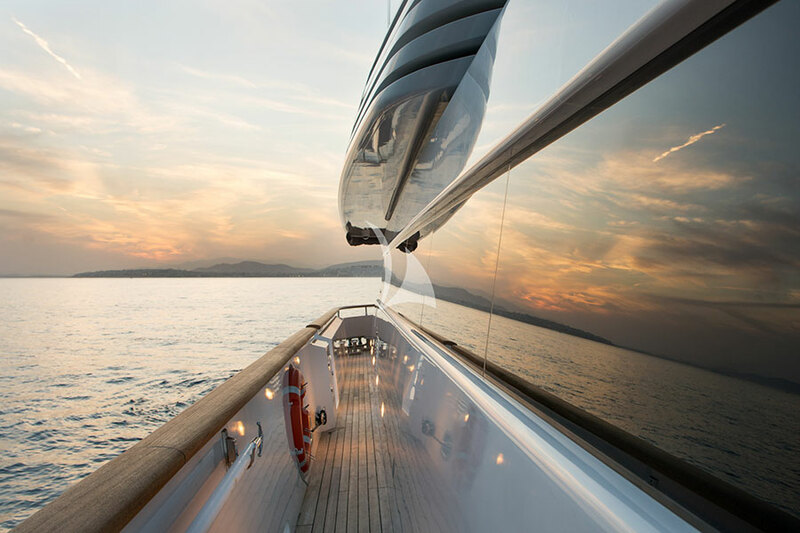 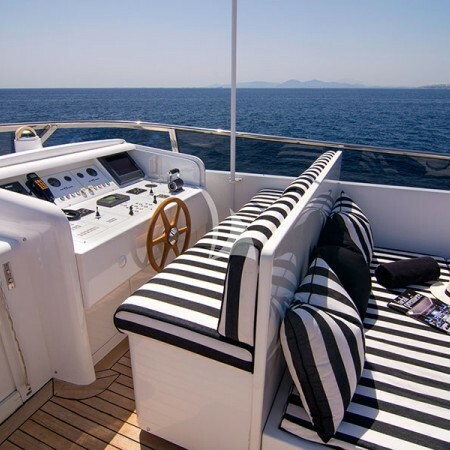 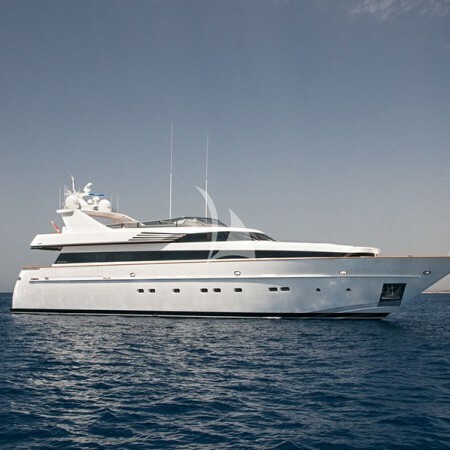 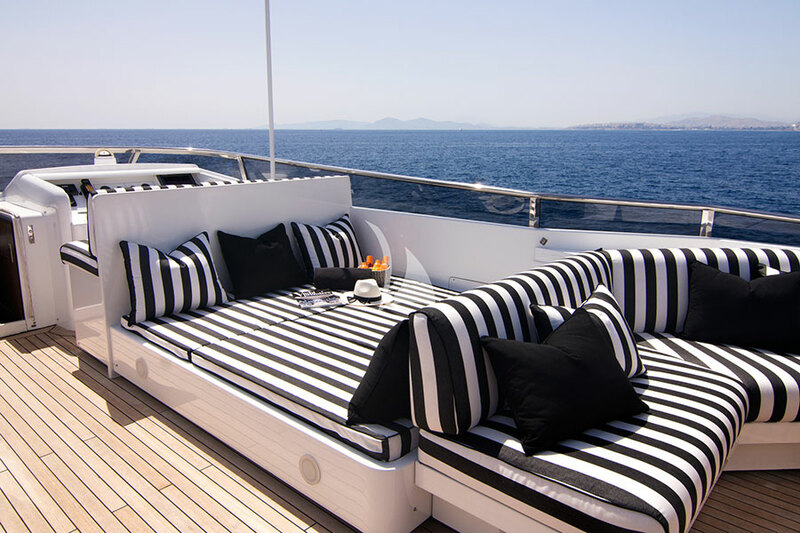 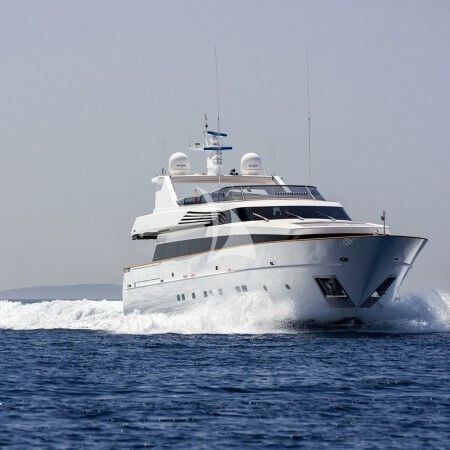 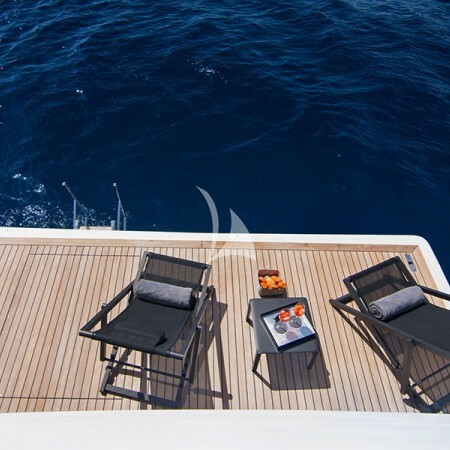 Regina K (previously named Diletta) offers luxury yacht charter in Greece and East Mediterranean. 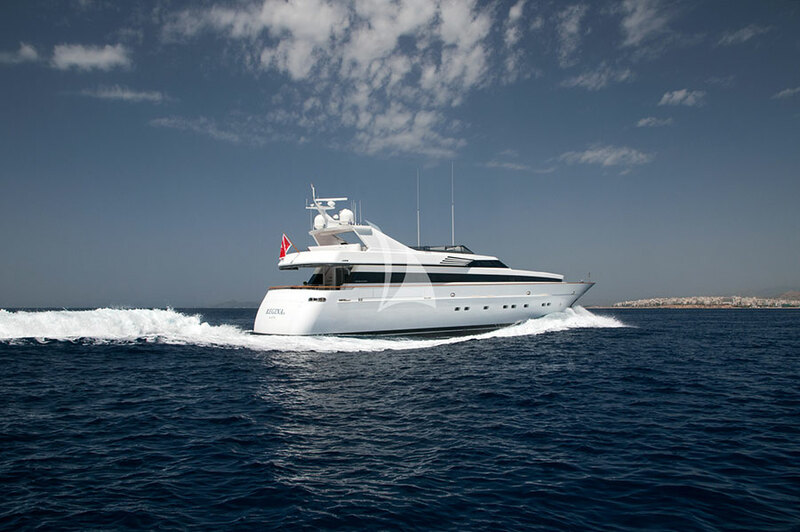 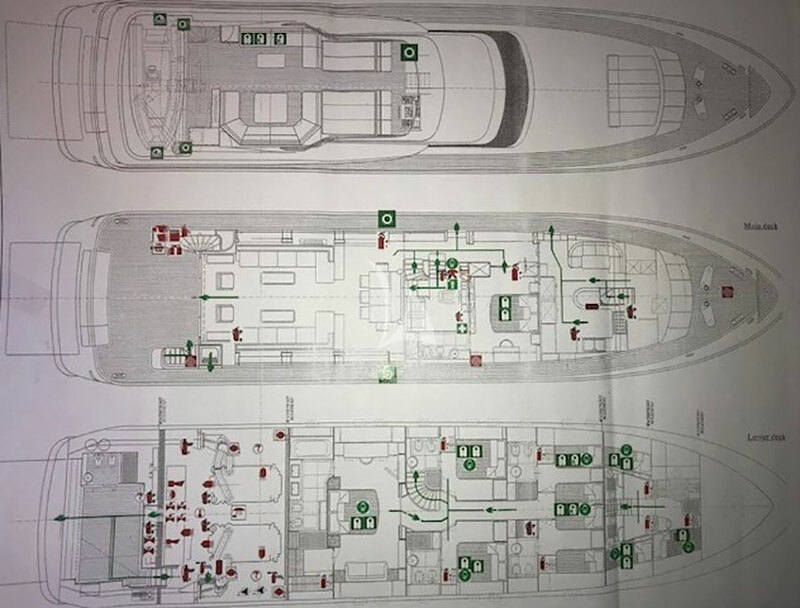 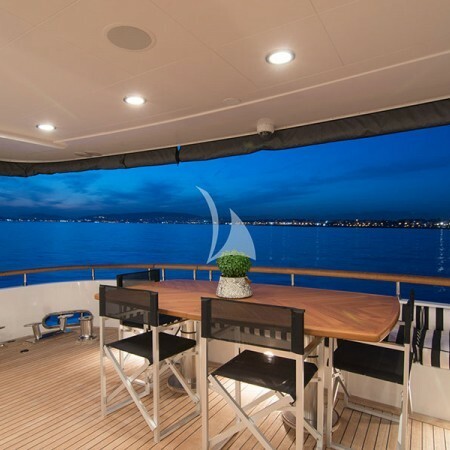 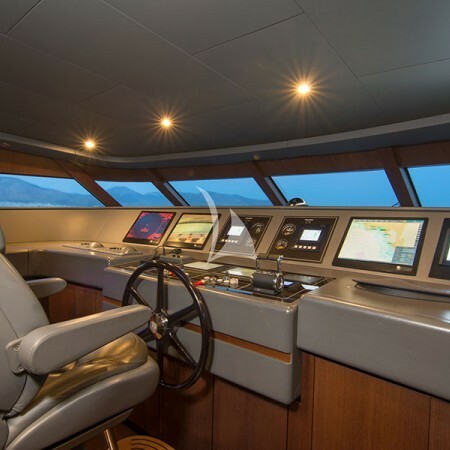 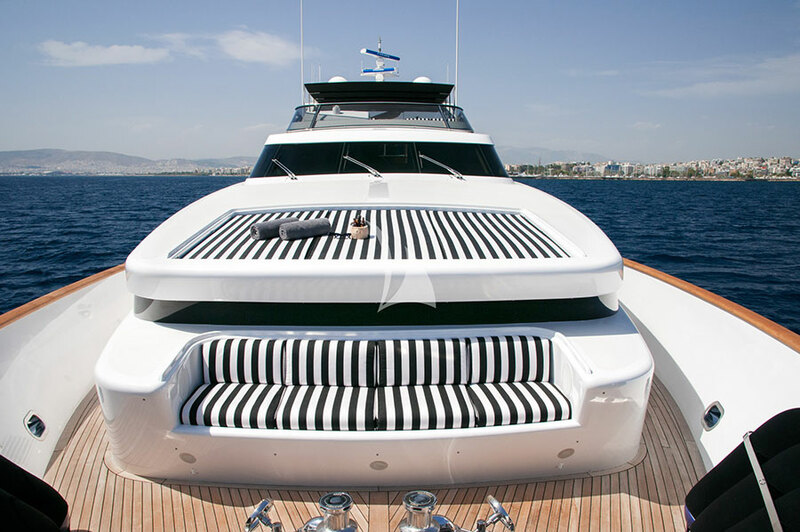 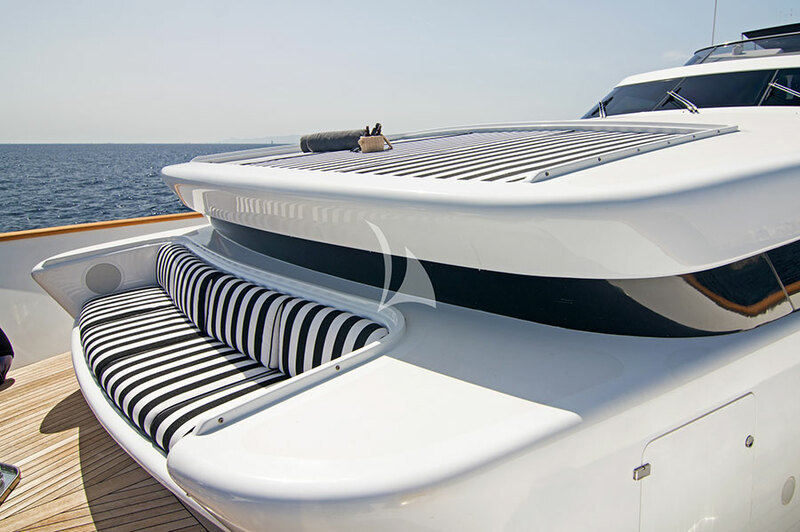 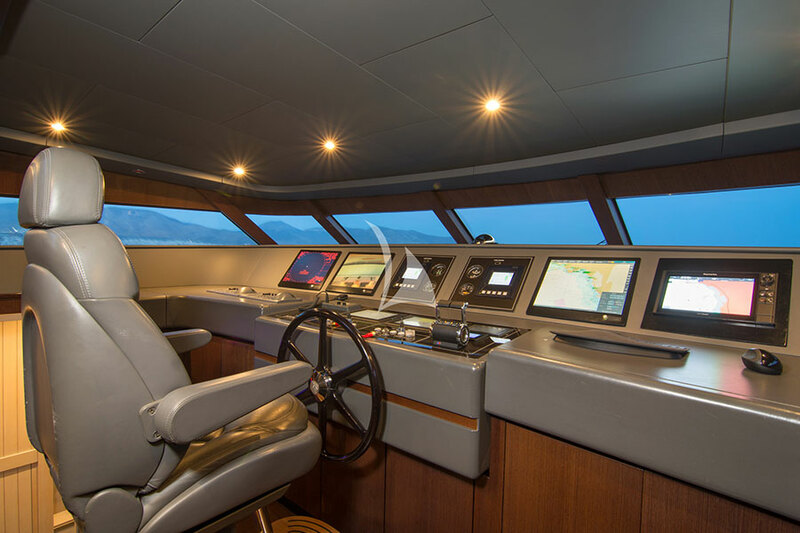 She is a 104.99ft /32m Akhir 105S motor yacht, built in 2008 by Cantieri di Pisa and last refitted in 2018. 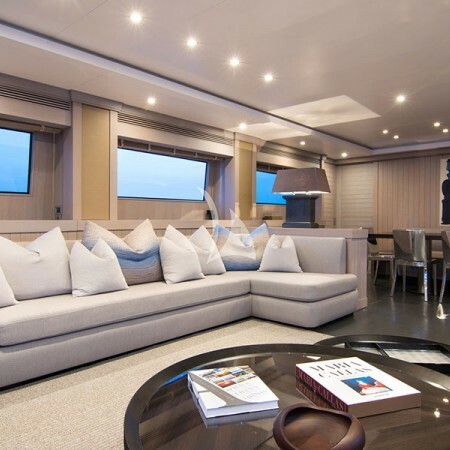 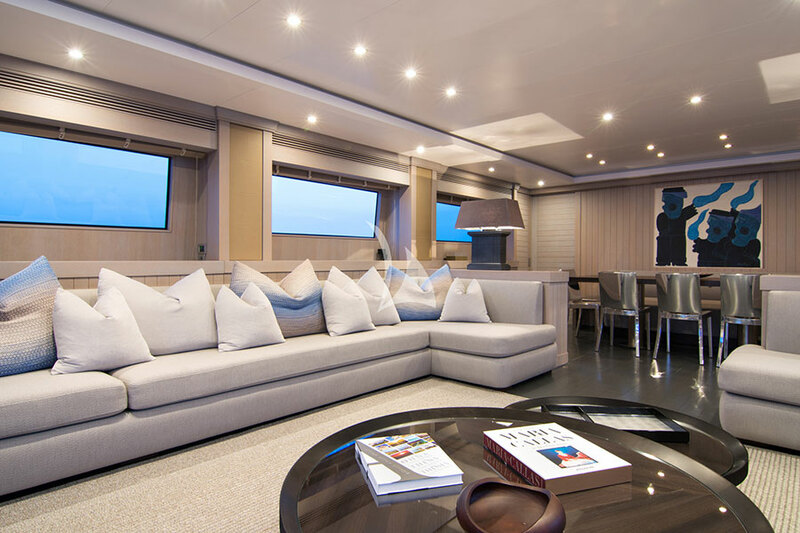 Her luxurious interior is designed by Francesco Paszkowski. 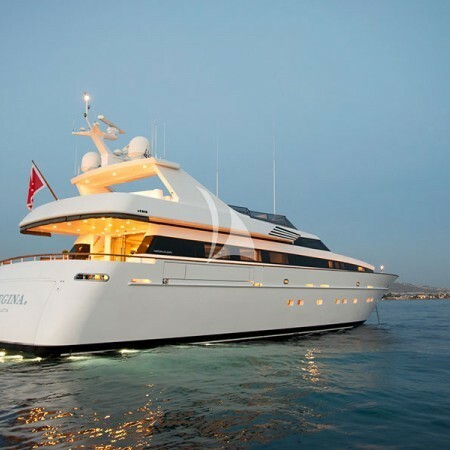 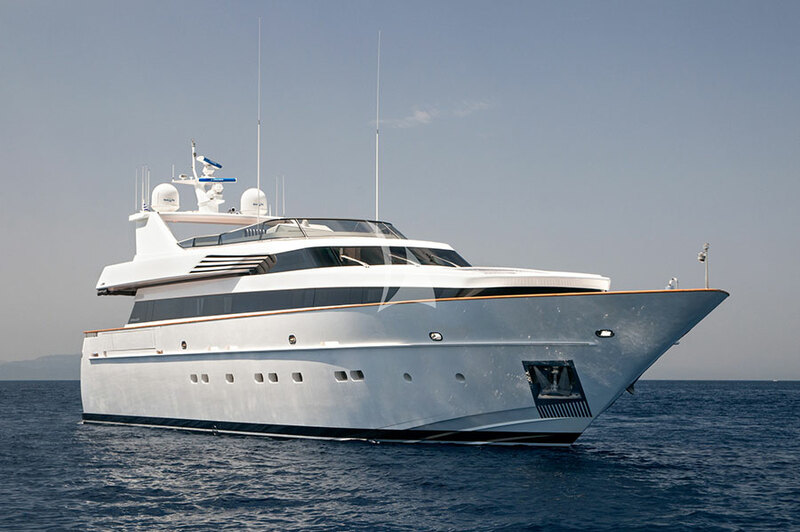 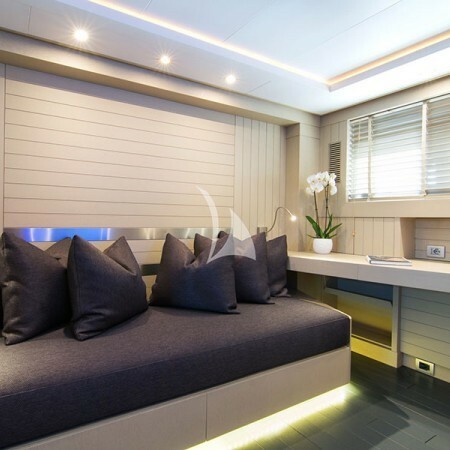 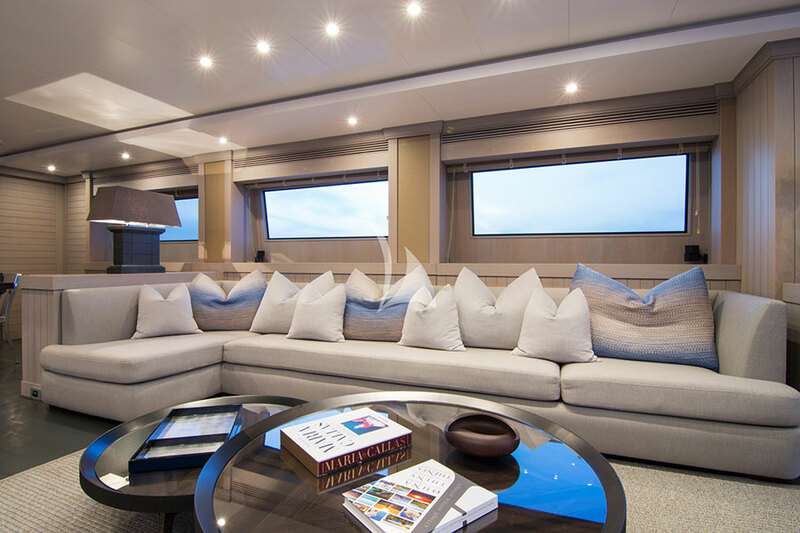 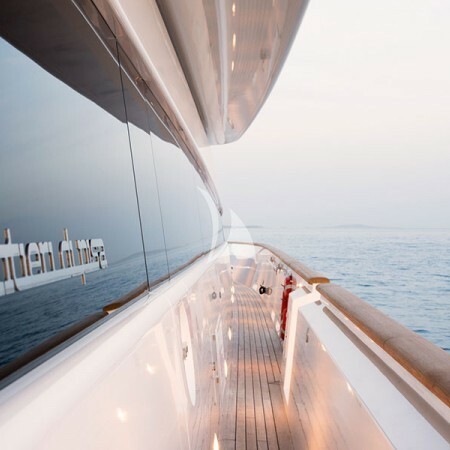 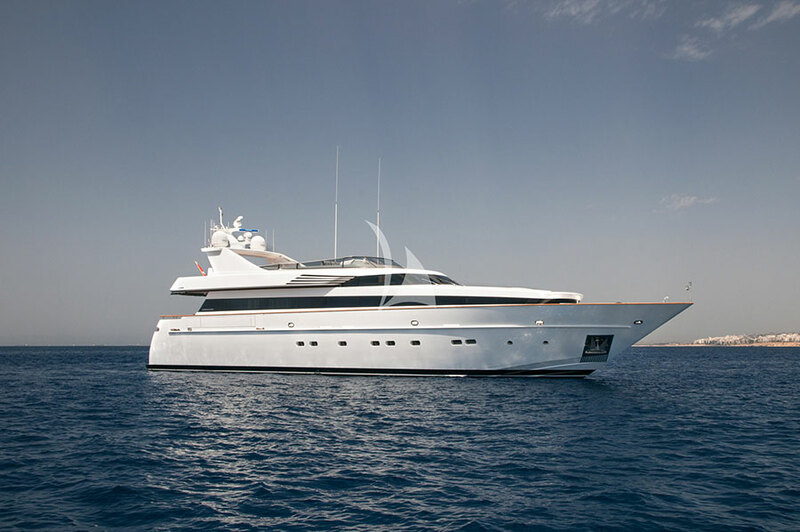 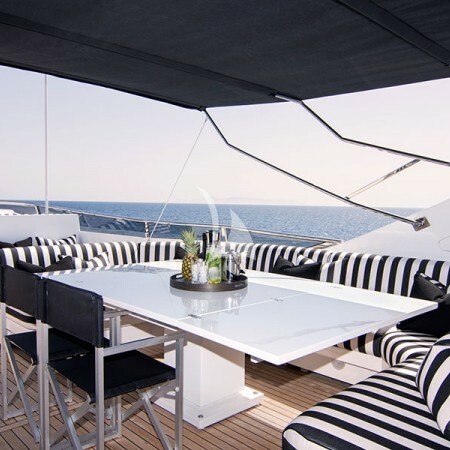 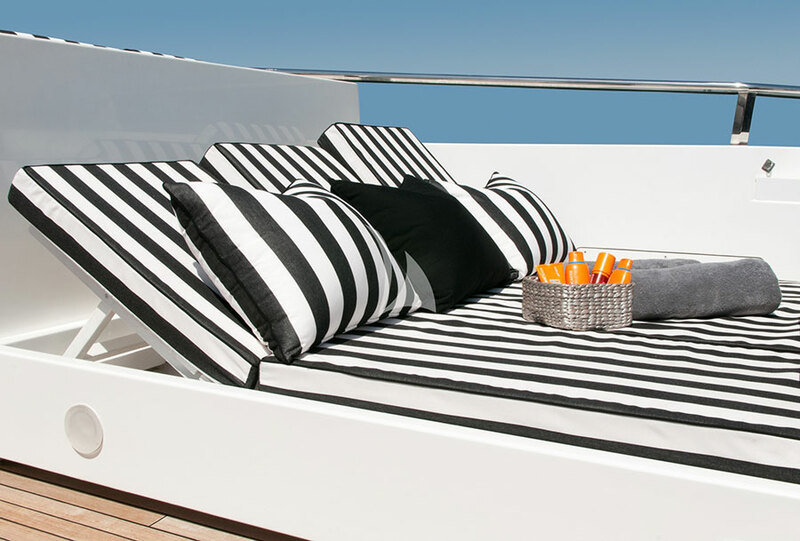 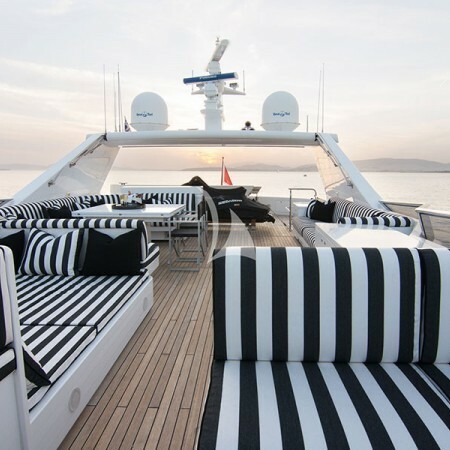 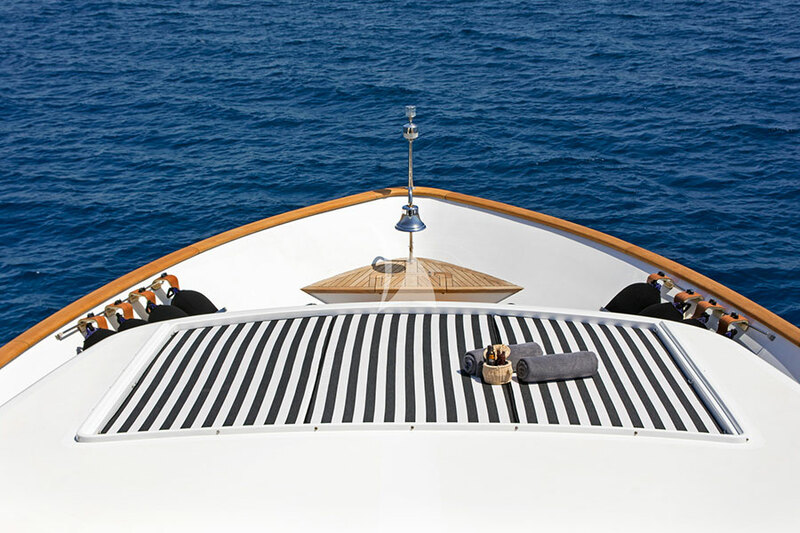 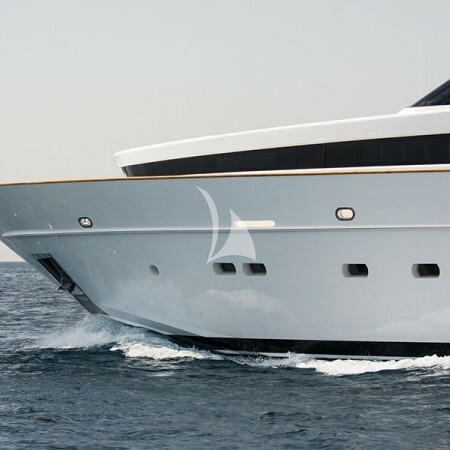 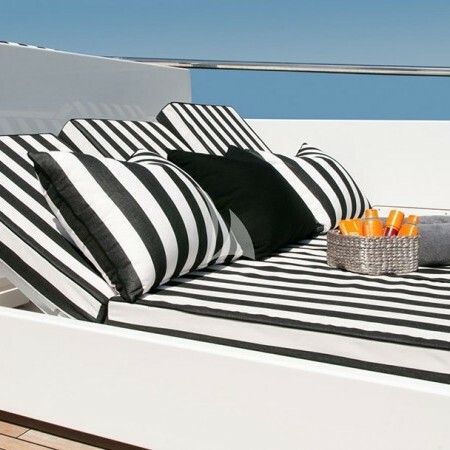 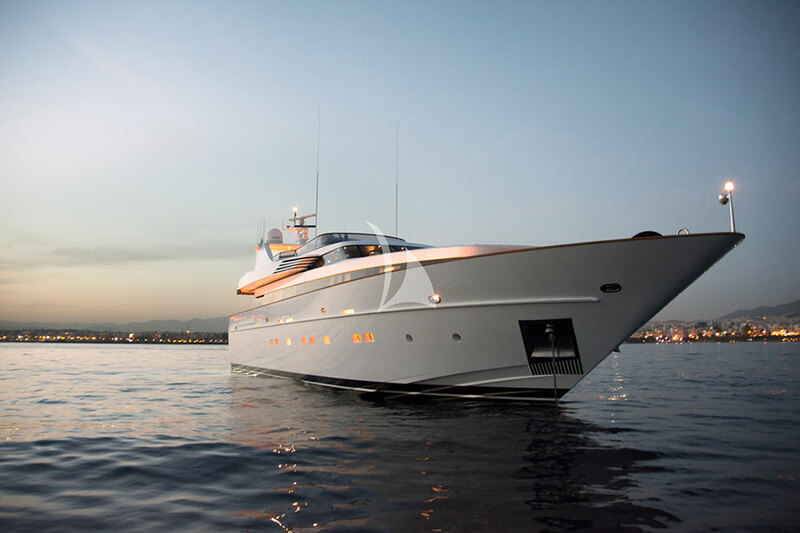 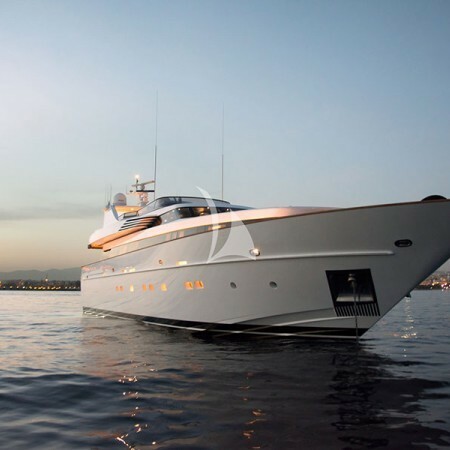 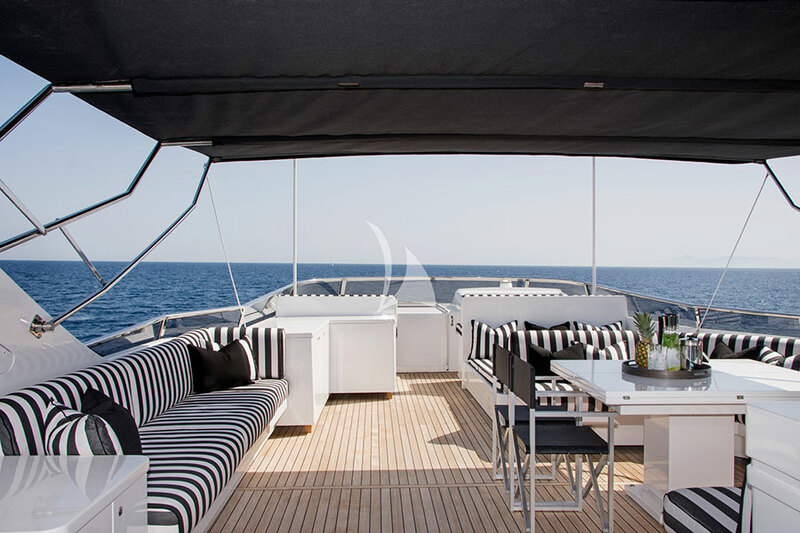 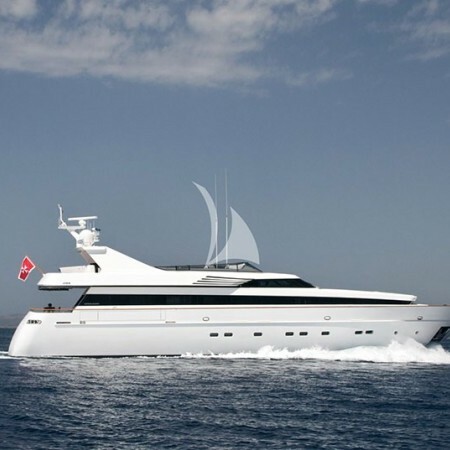 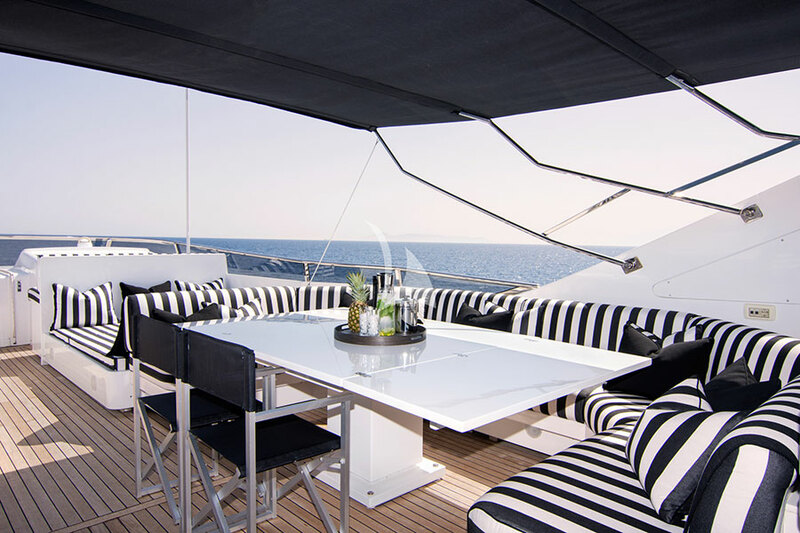 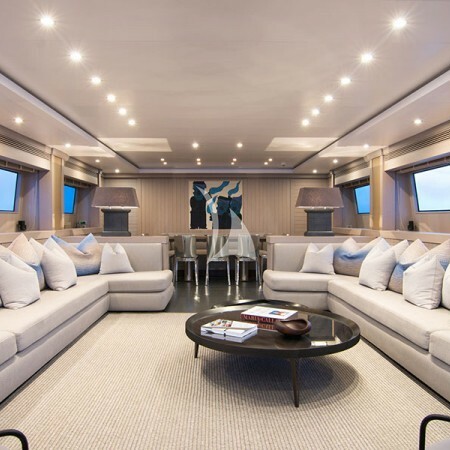 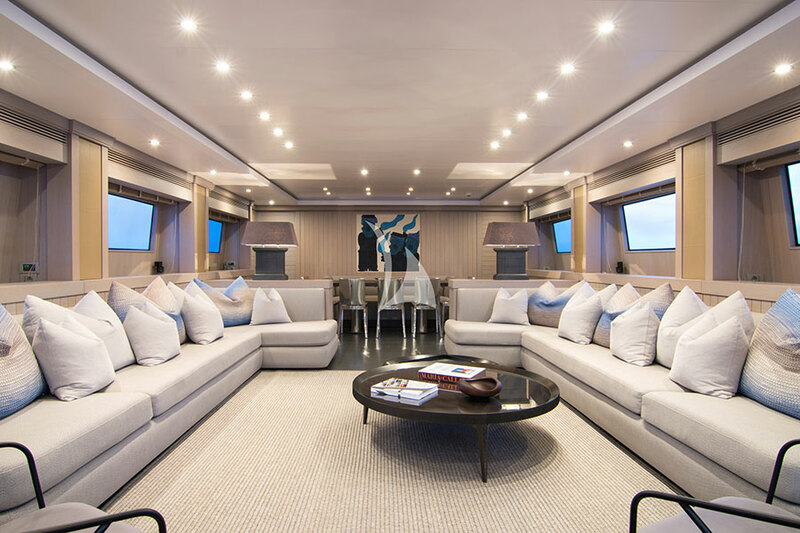 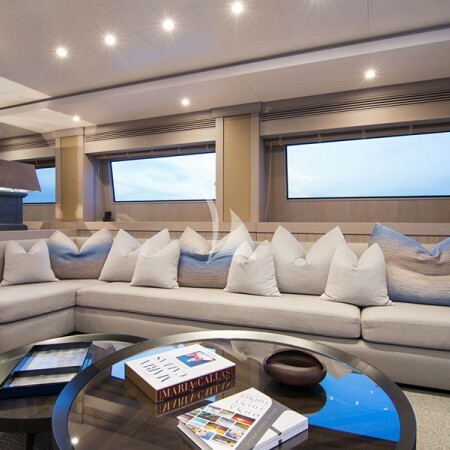 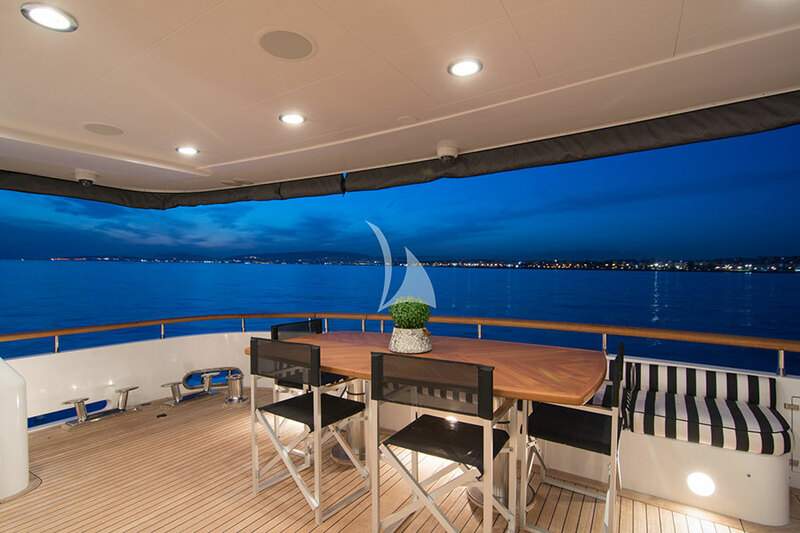 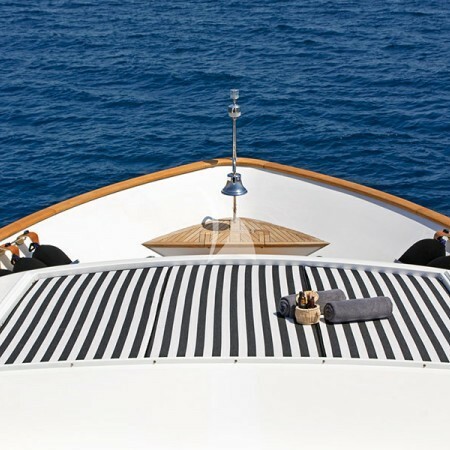 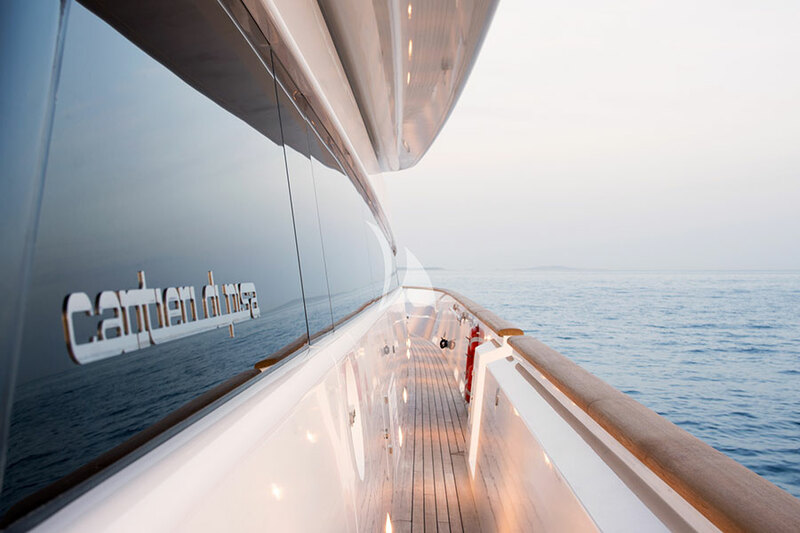 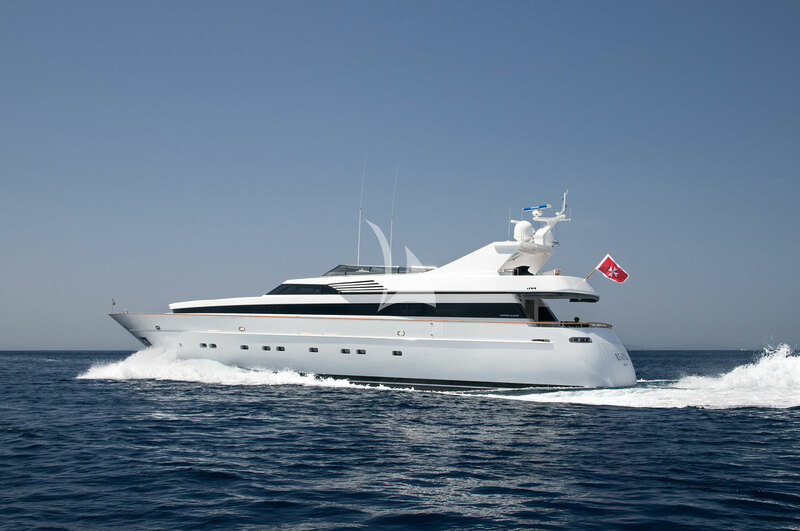 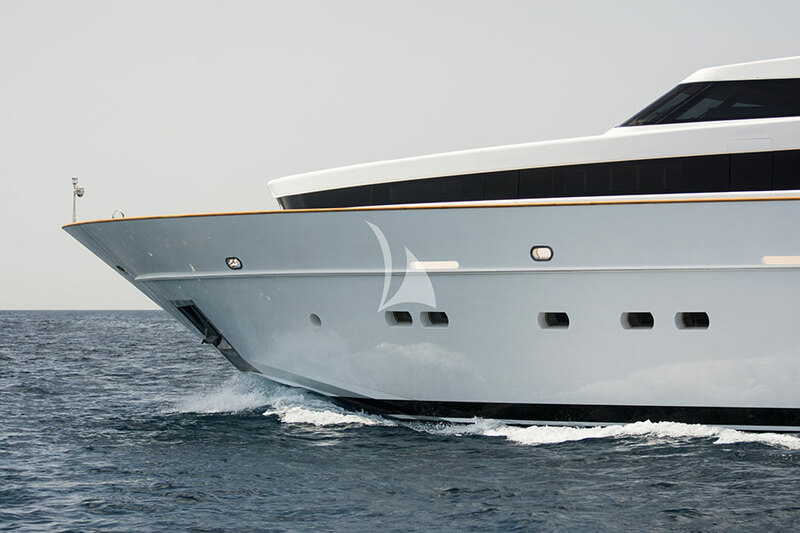 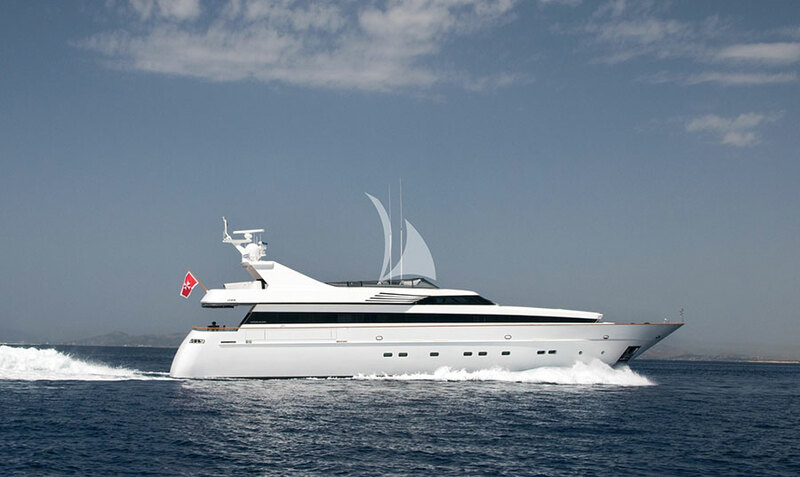 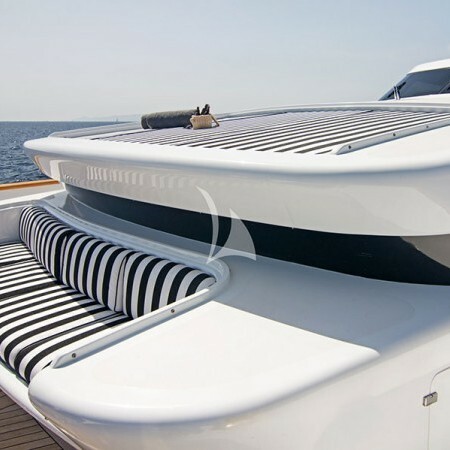 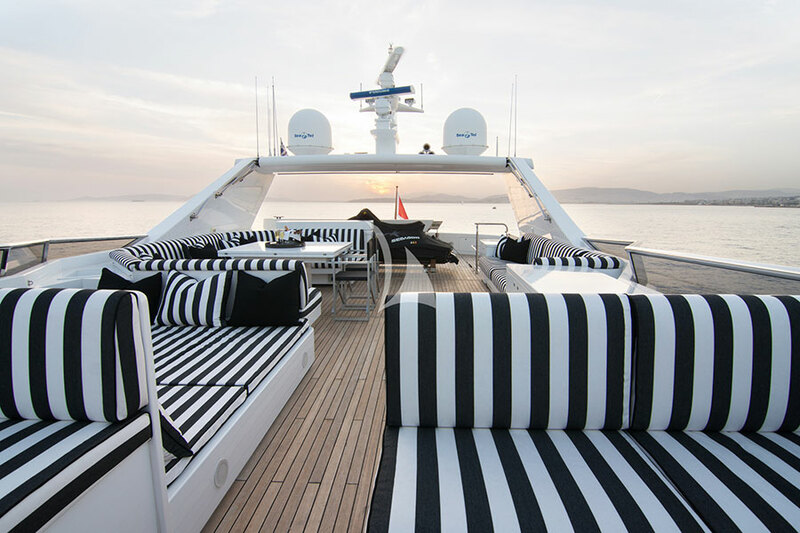 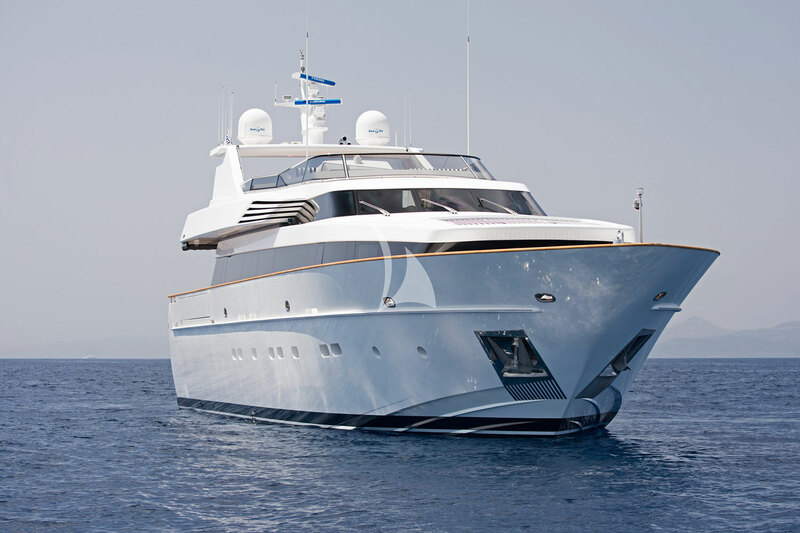 This 32,2m crewed yacht, offers an ultimate luxury yacht experience in Mykonos and the Greek islands. 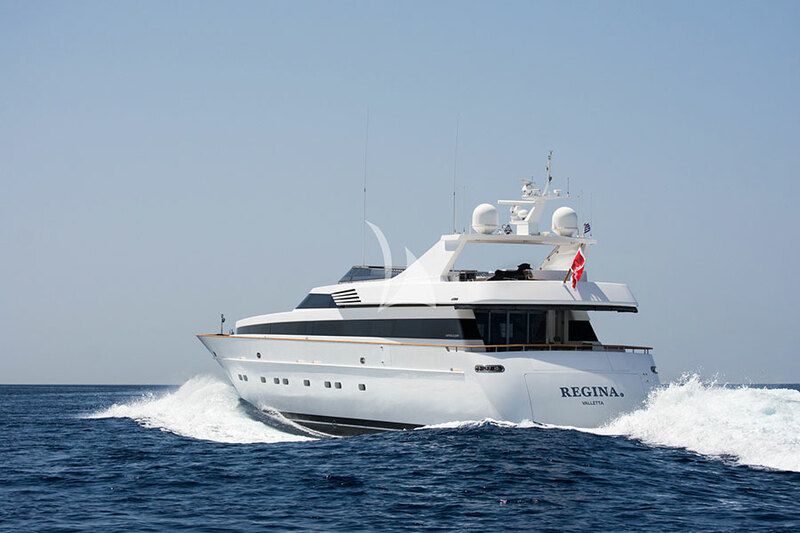 Regina K's two powerful engines MTU 16V 2400 M93 will cruise you with safety and comfort reaching a cruising speed of 20 knots and a max speed of 25,5 knots. 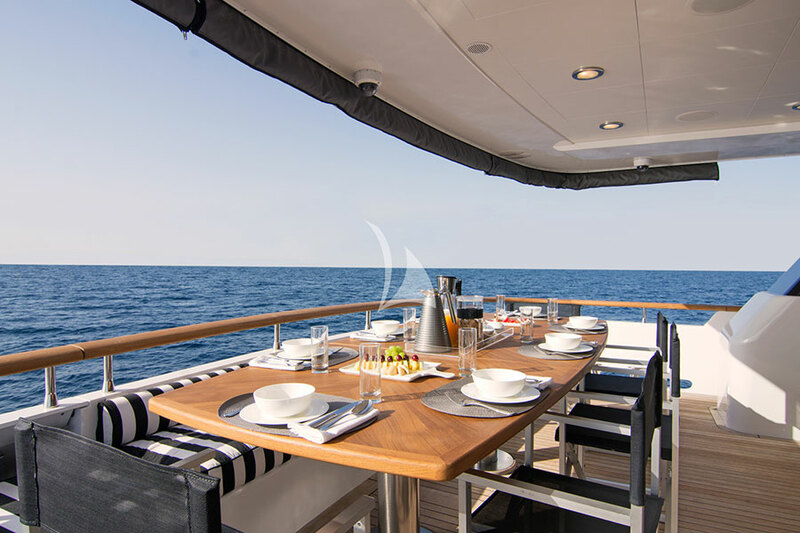 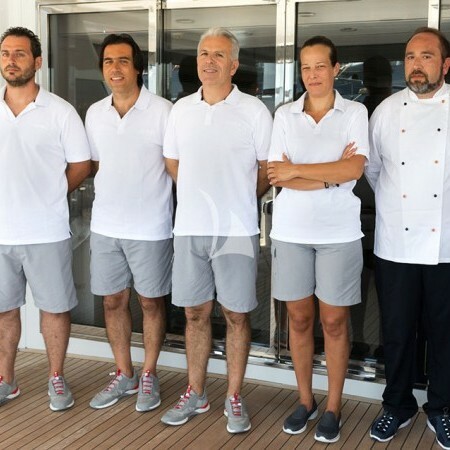 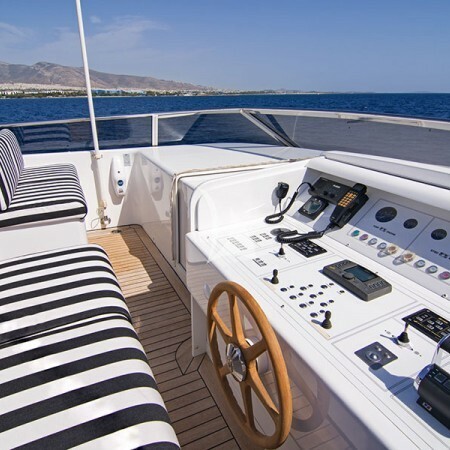 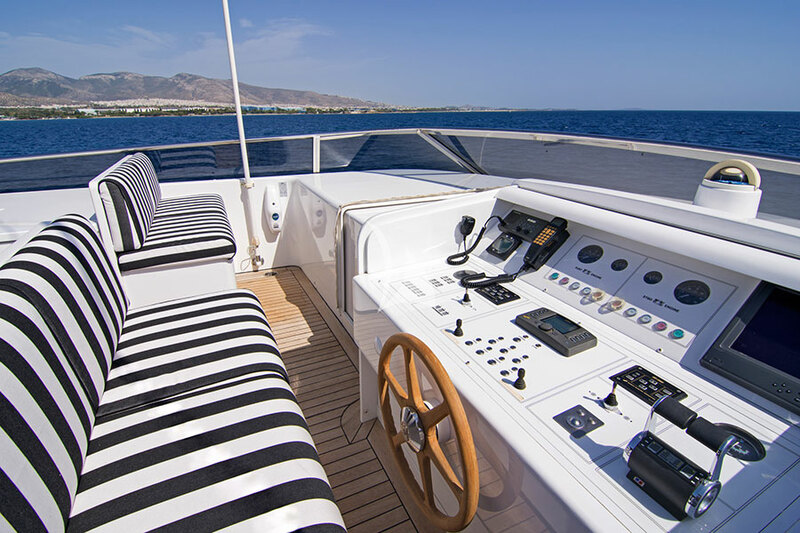 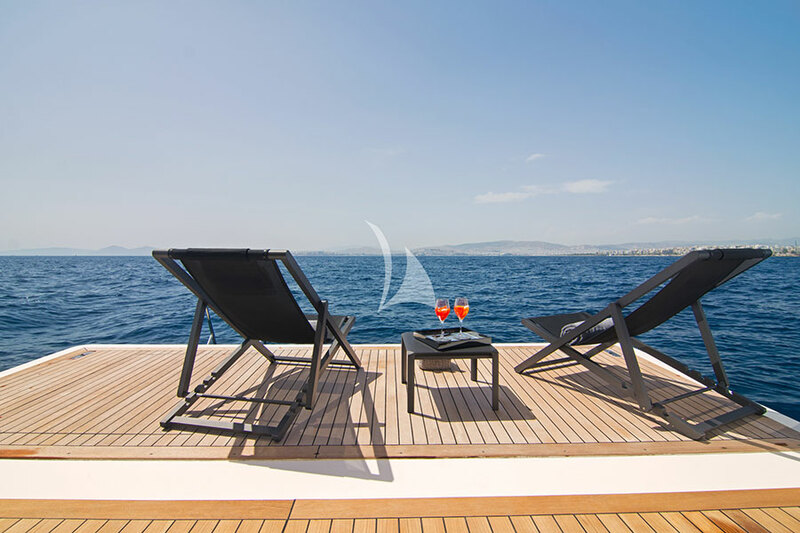 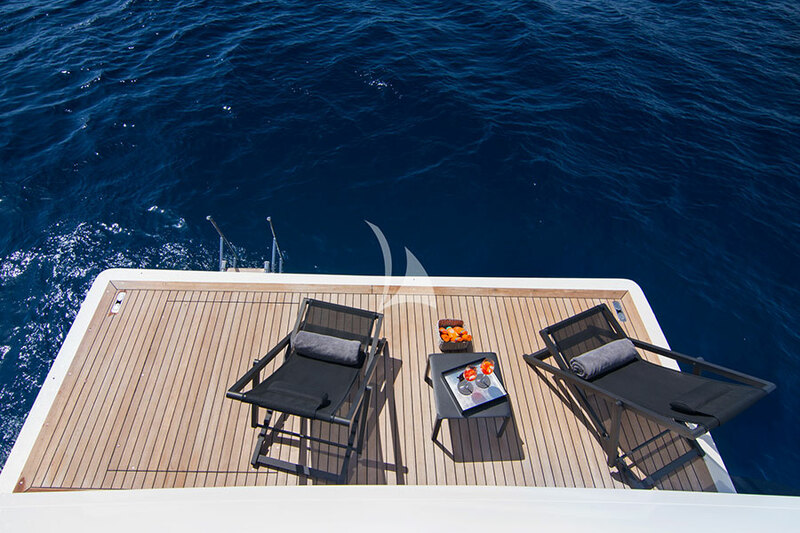 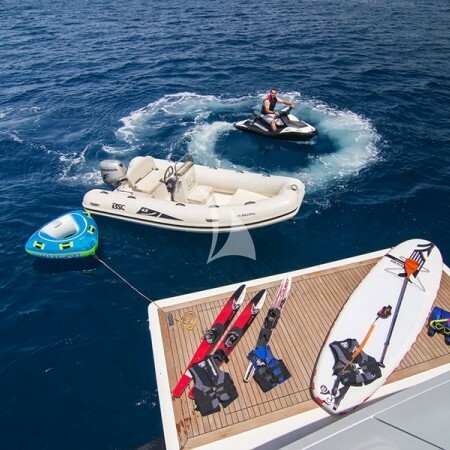 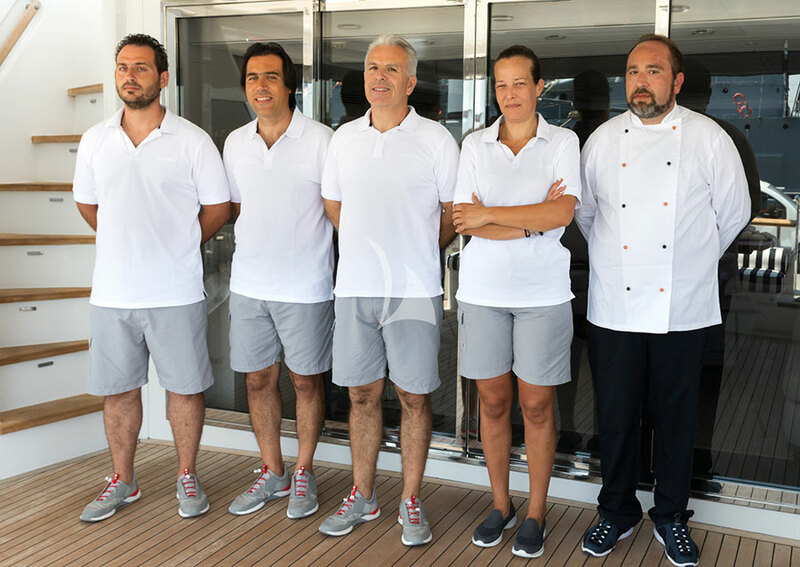 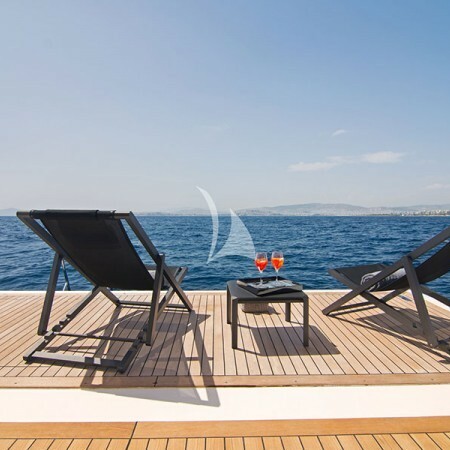 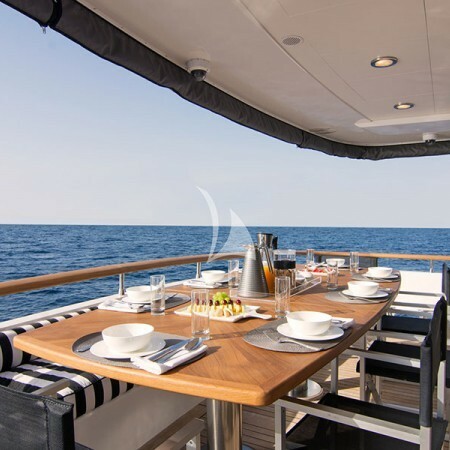 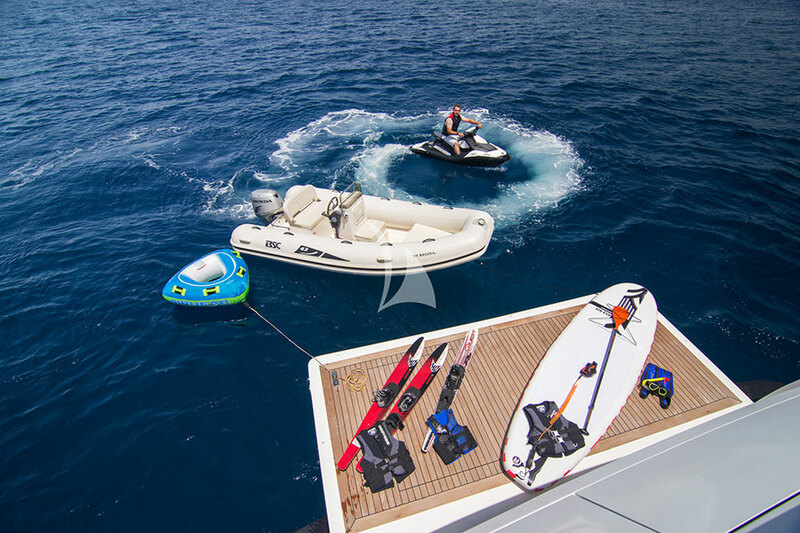 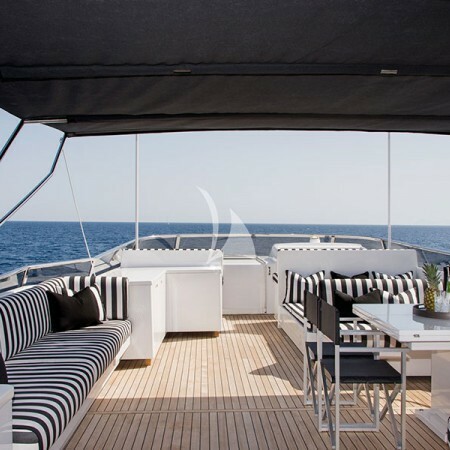 Her professional and attentive crew of 5 will ensure a wonderful and carefree summer yachting vacation. 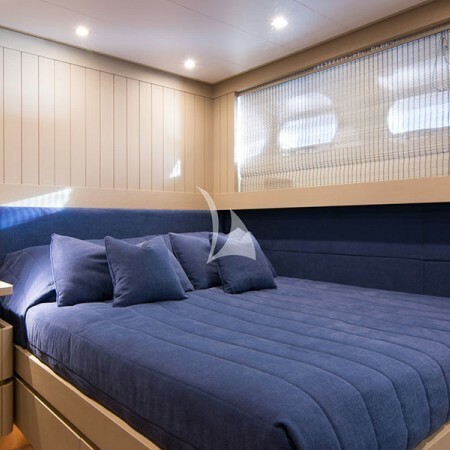 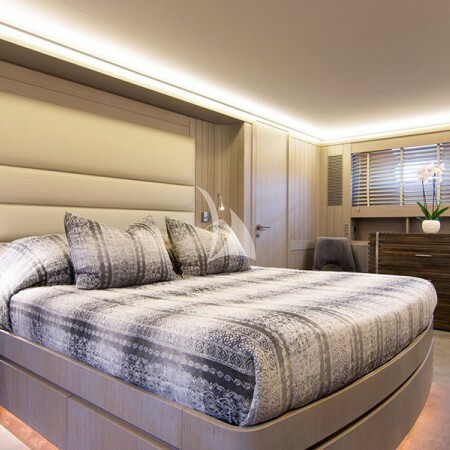 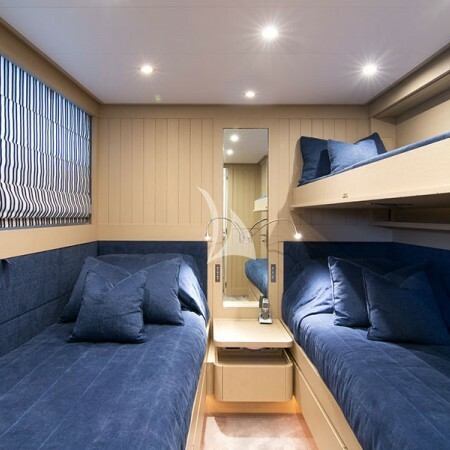 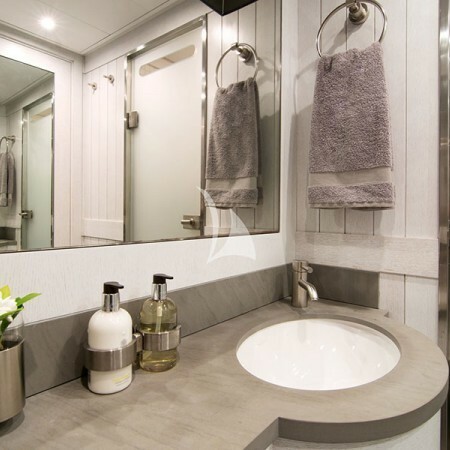 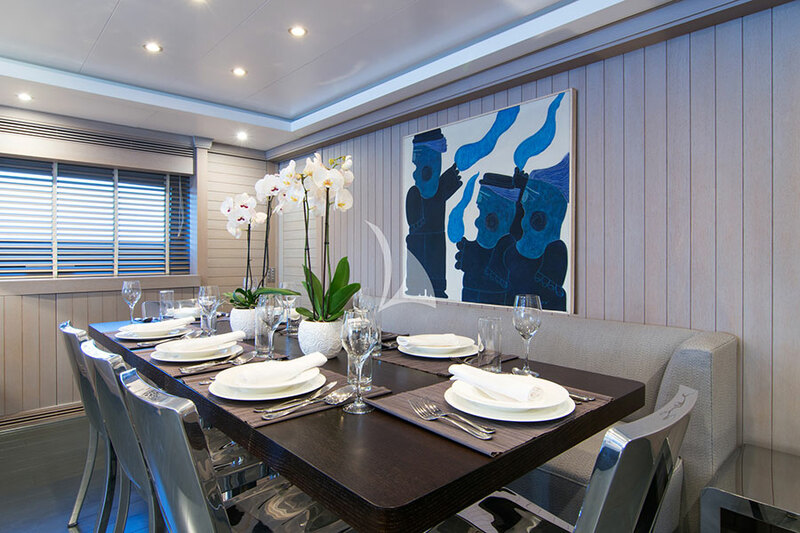 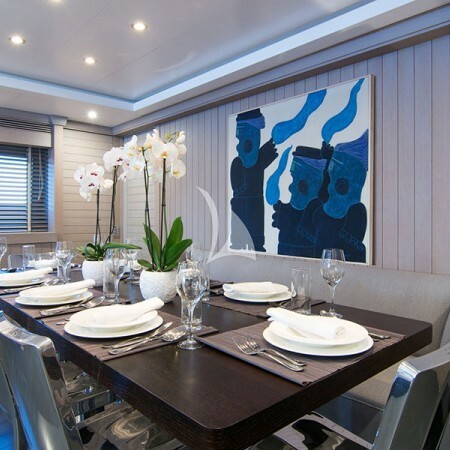 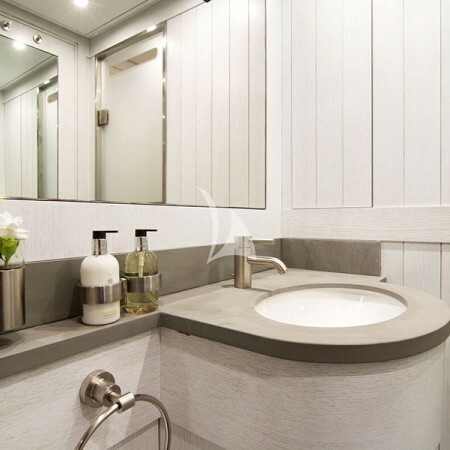 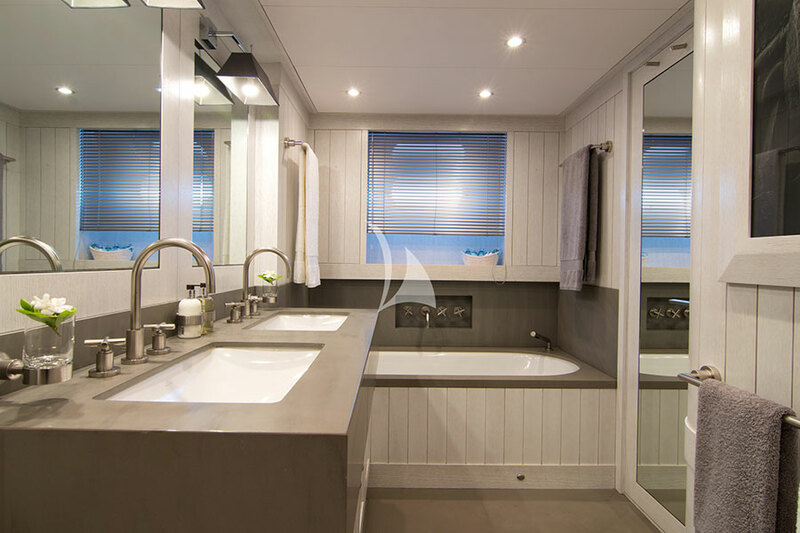 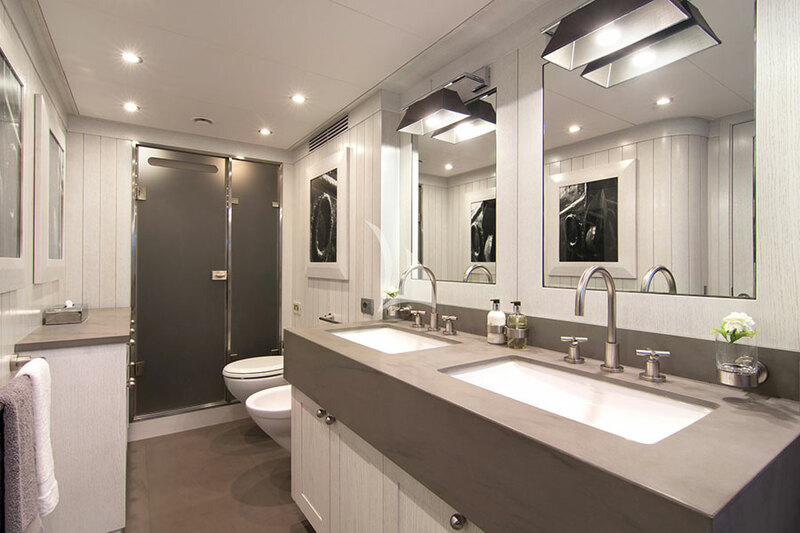 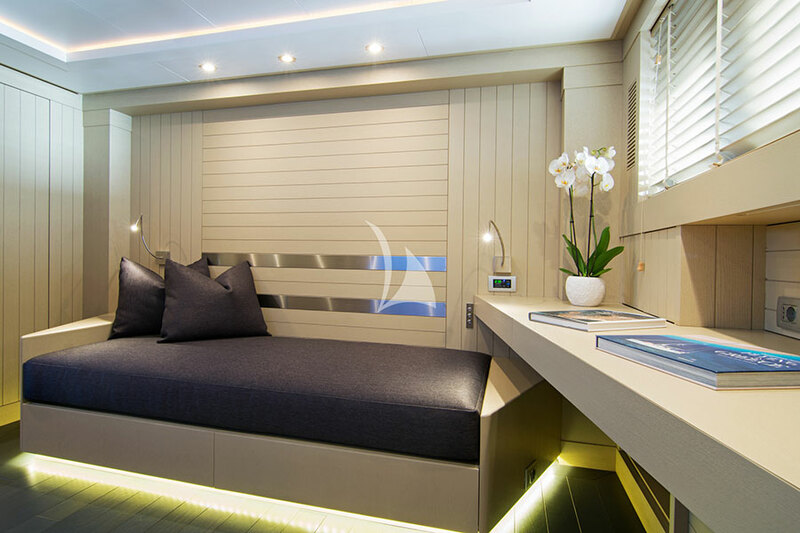 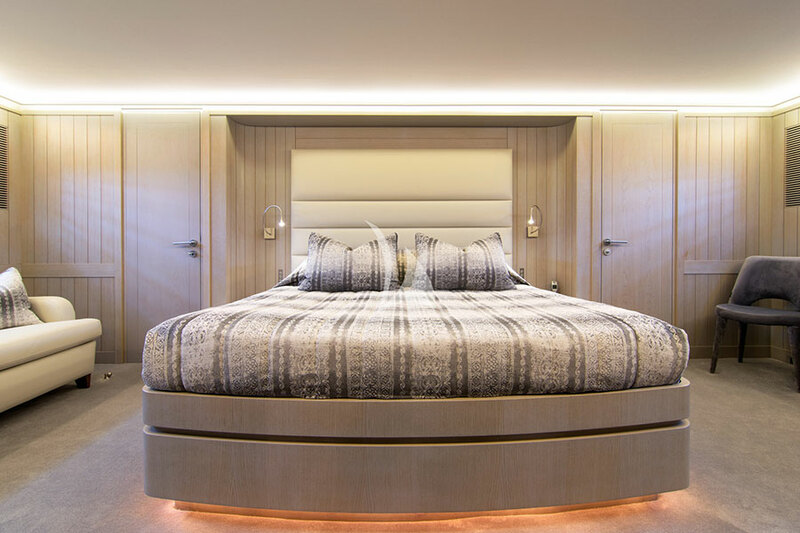 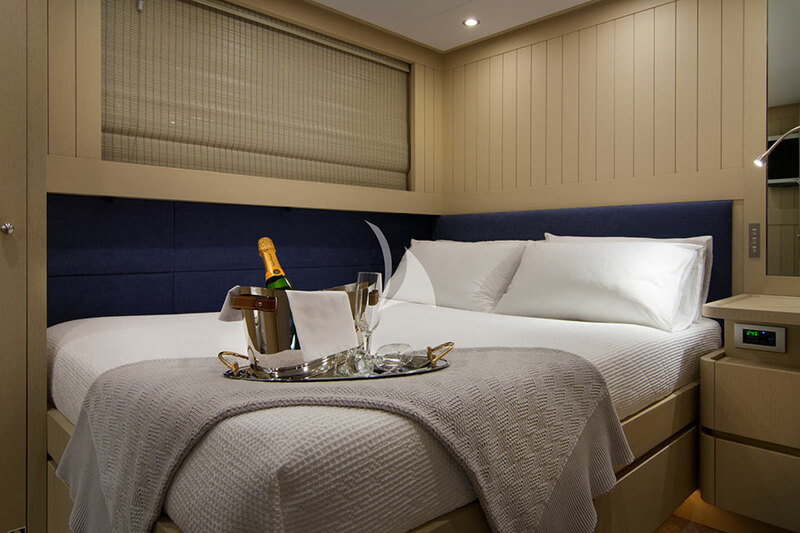 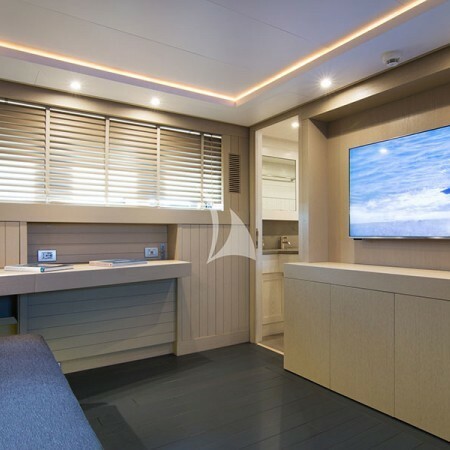 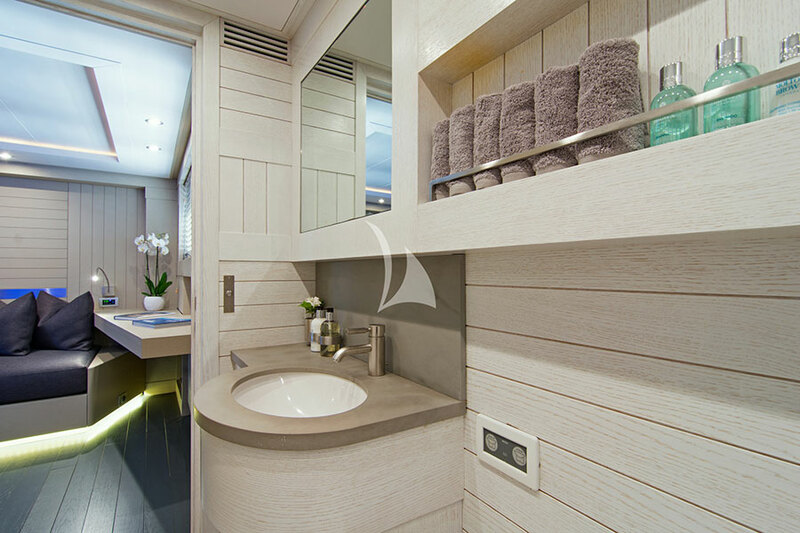 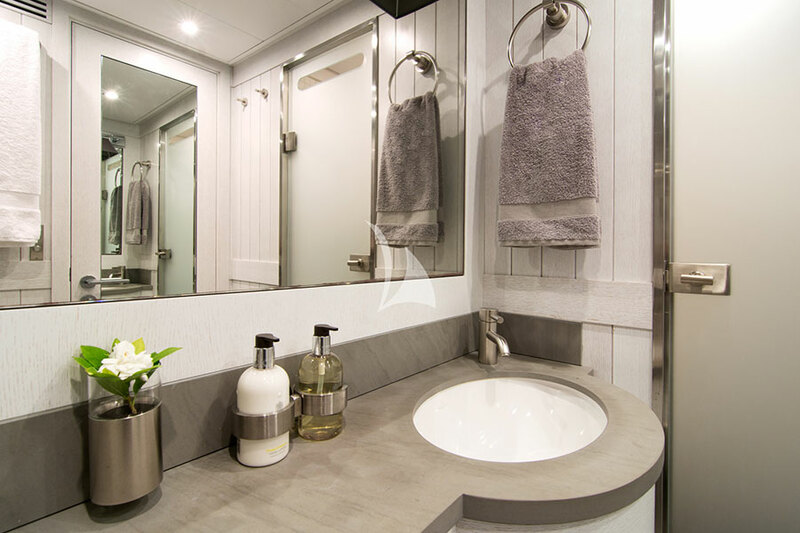 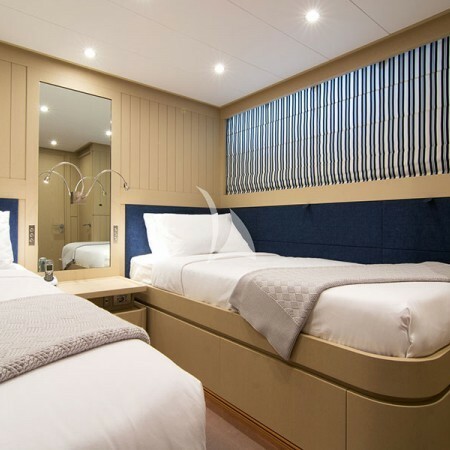 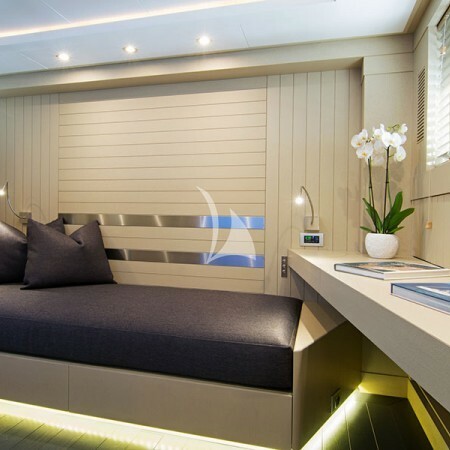 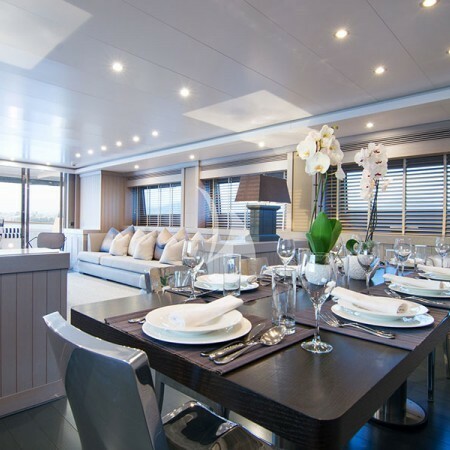 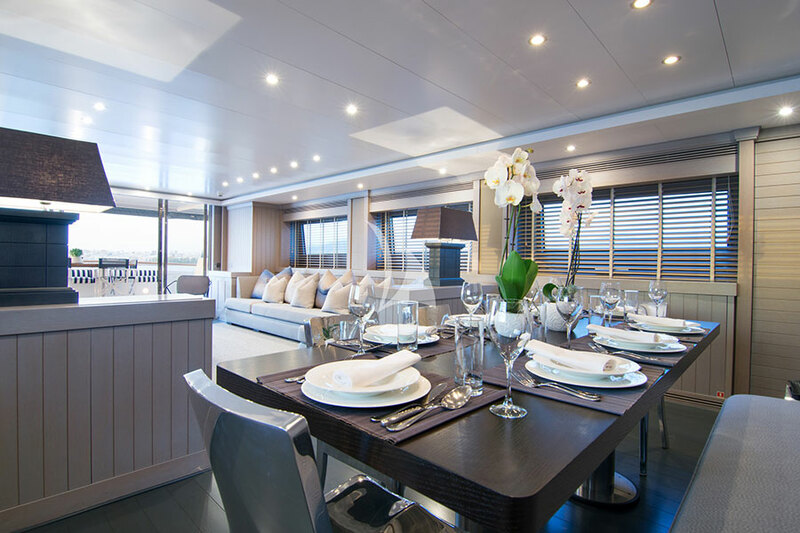 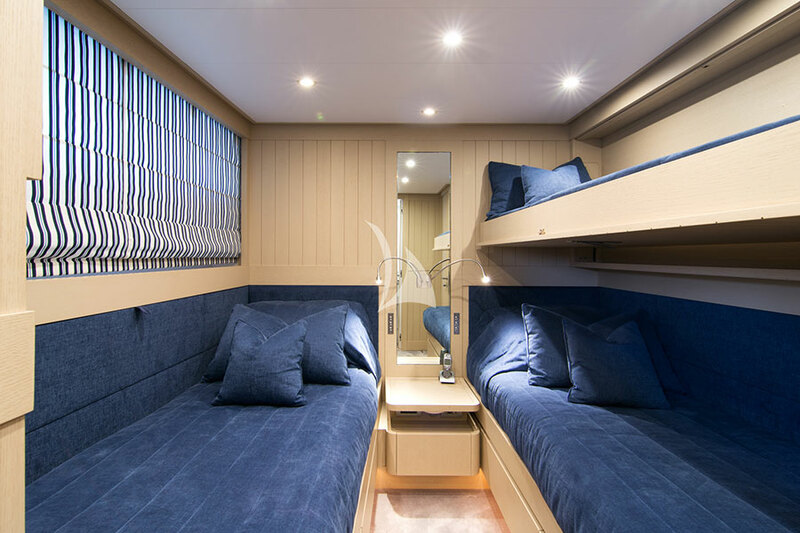 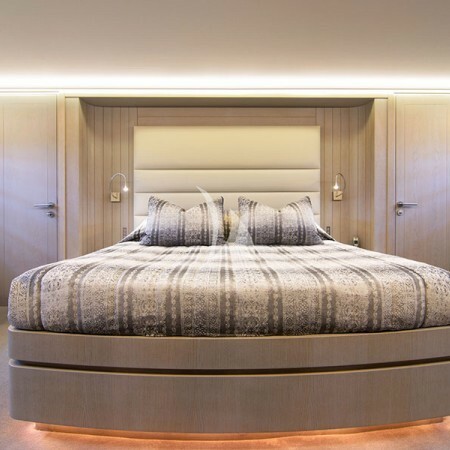 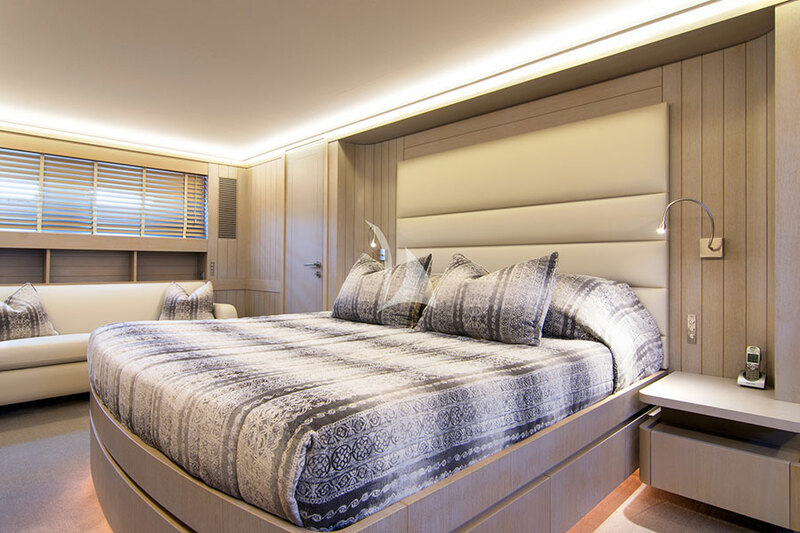 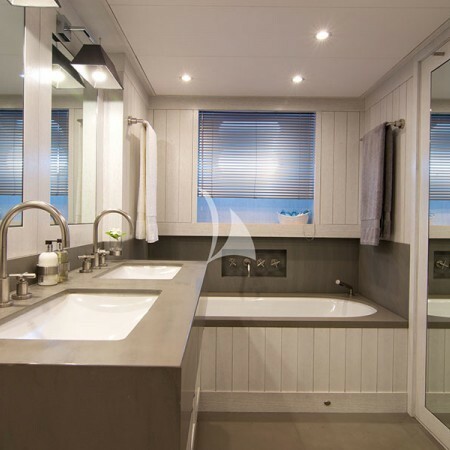 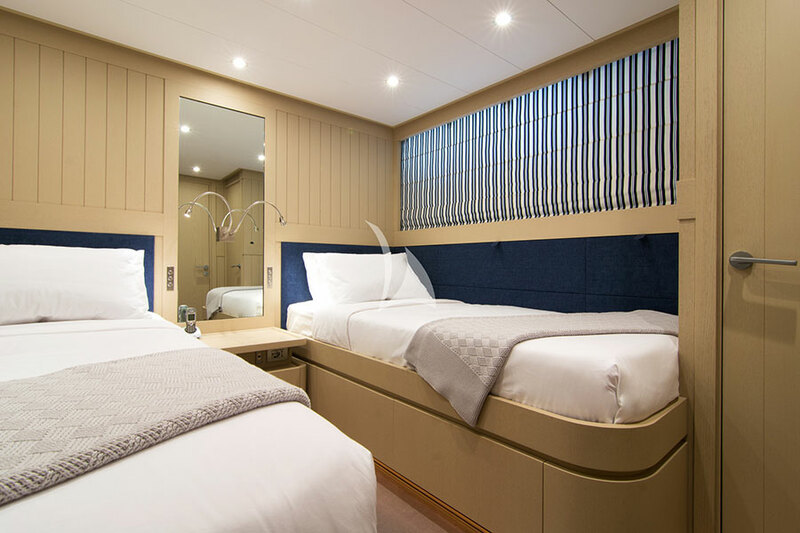 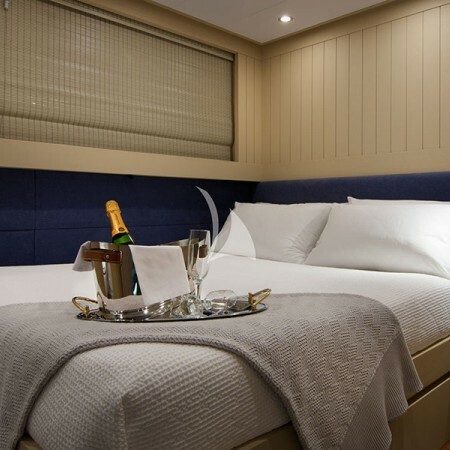 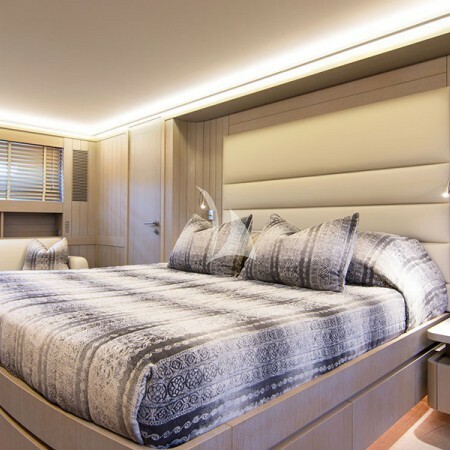 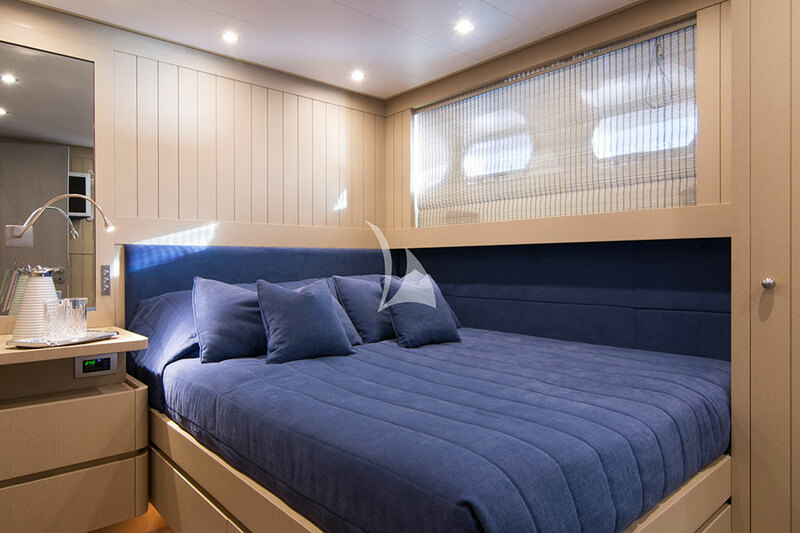 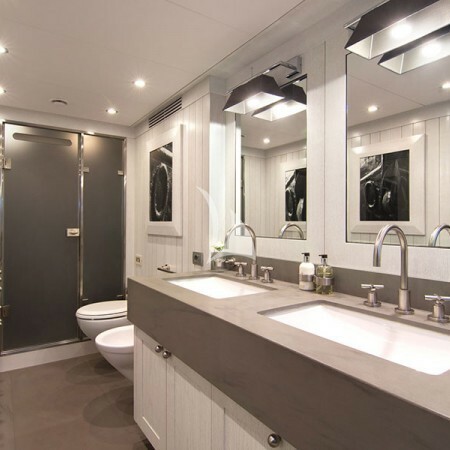 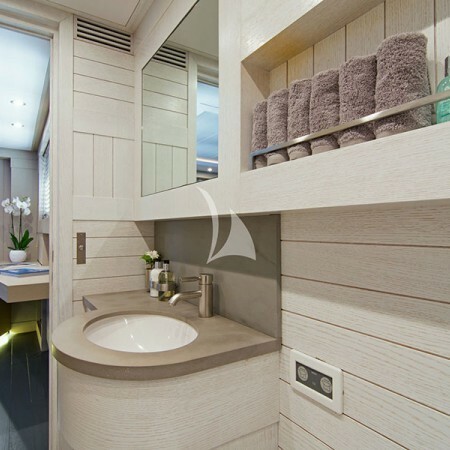 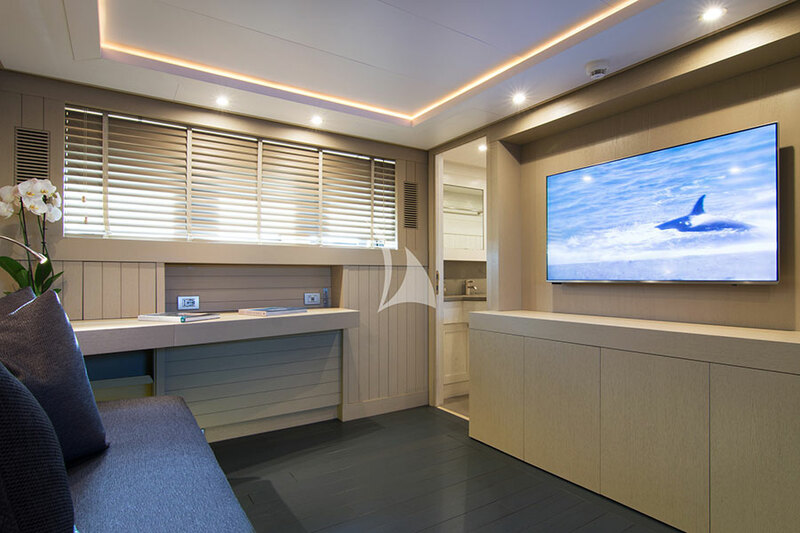 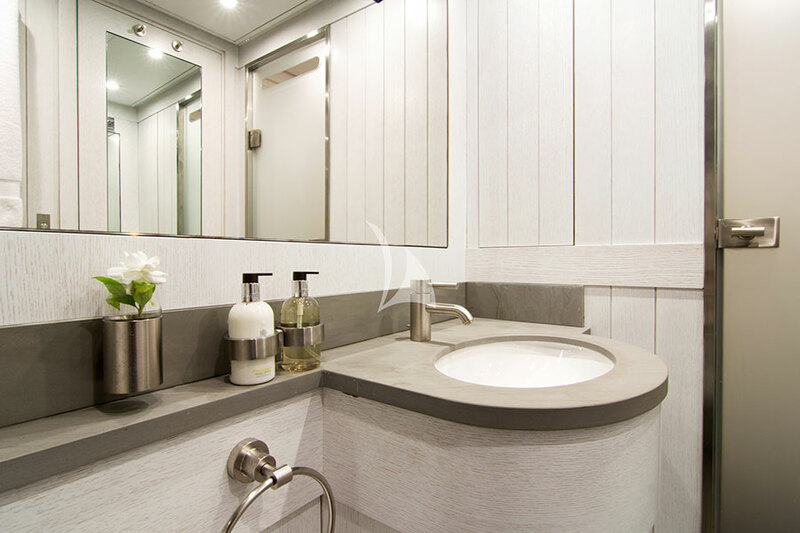 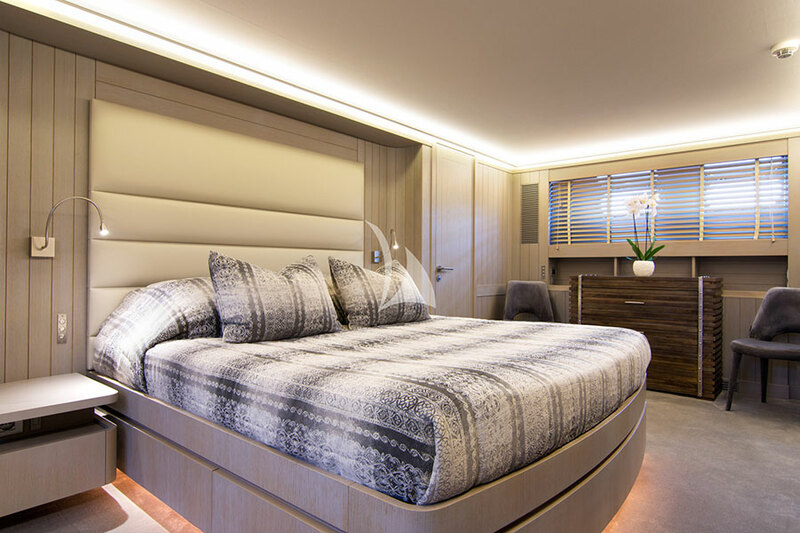 She can accommodate up to 10 guests in 5 spacious staterooms, including 1 luxury Master suite, 2 double cabins, 2 twin cabins (one with Pullman bed) all equipped with en-suite facilities and decorated with modern details. 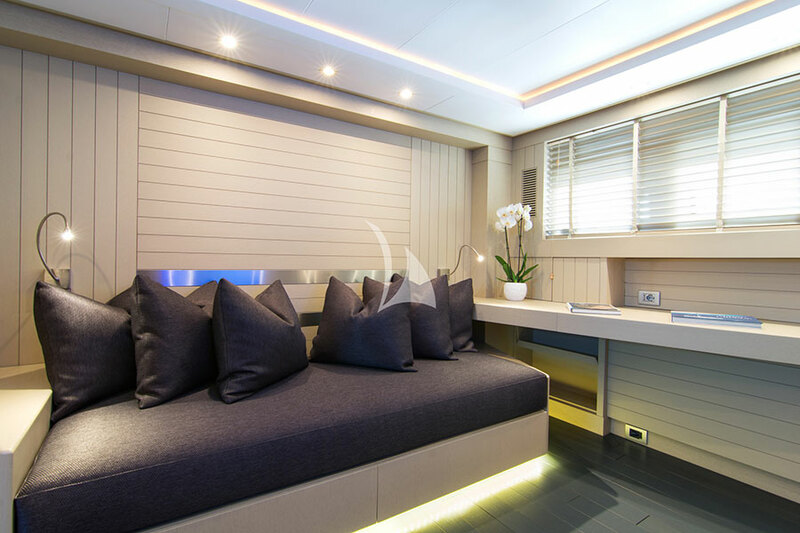 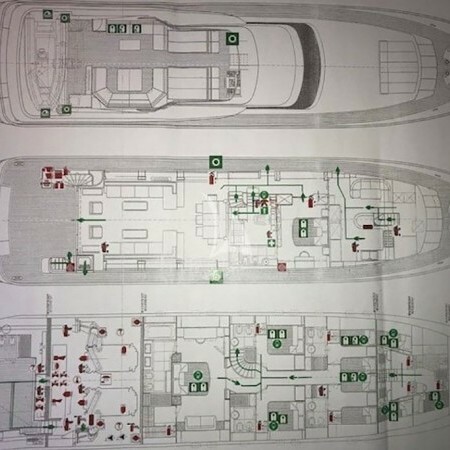 There is also one office area convertible to cabin.